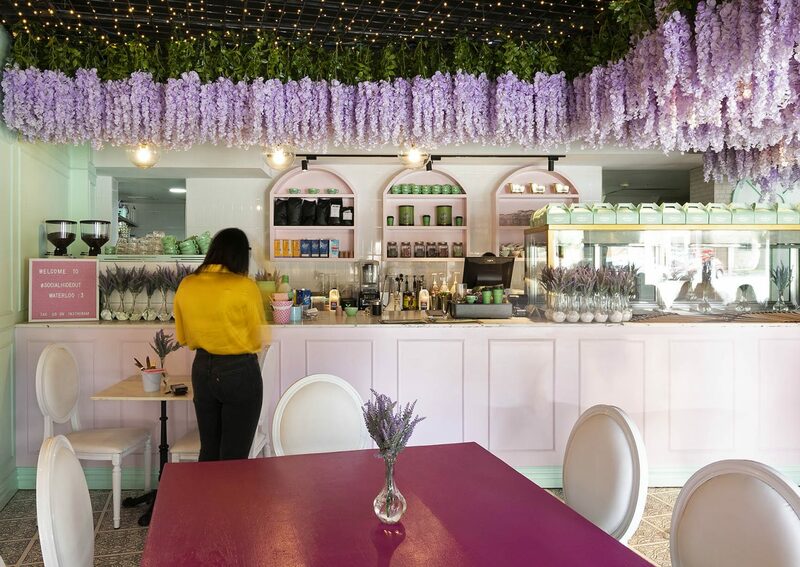 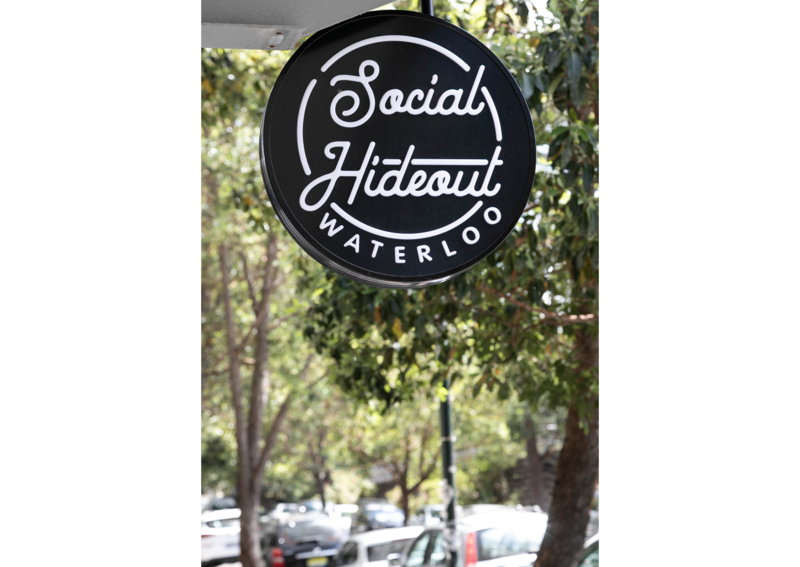 Located in the heart of the dynamic and evolving suburb, Waterloo, Social Hideout is an “instagrammable” café with a unique fitout design and is a haven for food enthusiasts. 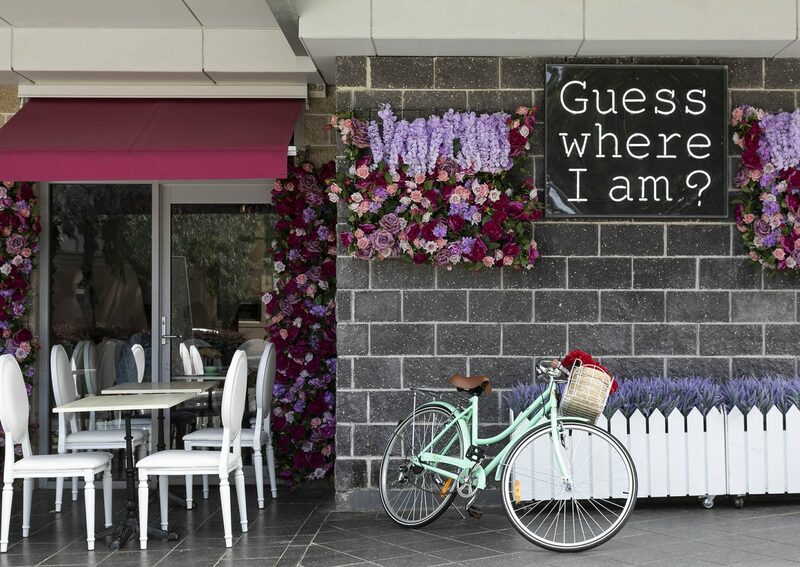 Taking inspirations from the Parisian café culture, the design of Social Hideout reflects the French streetscape and courtyard environment with decorative motifs and furniture. 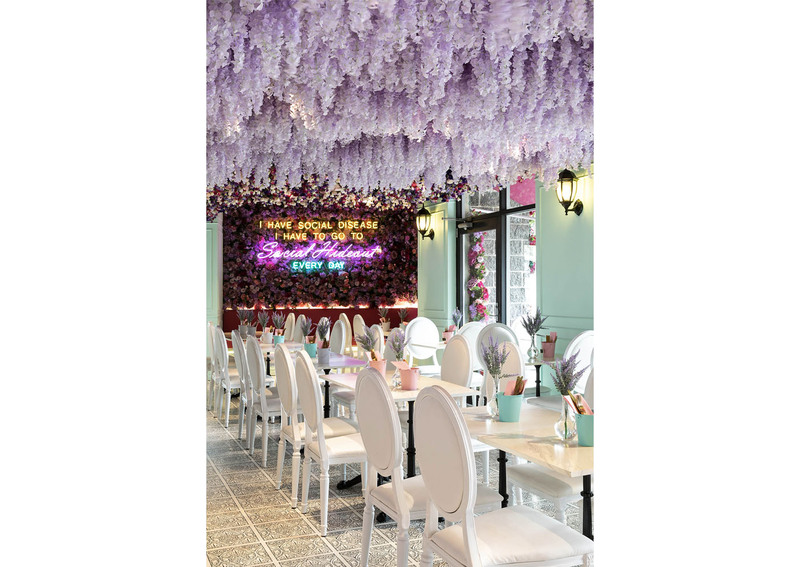 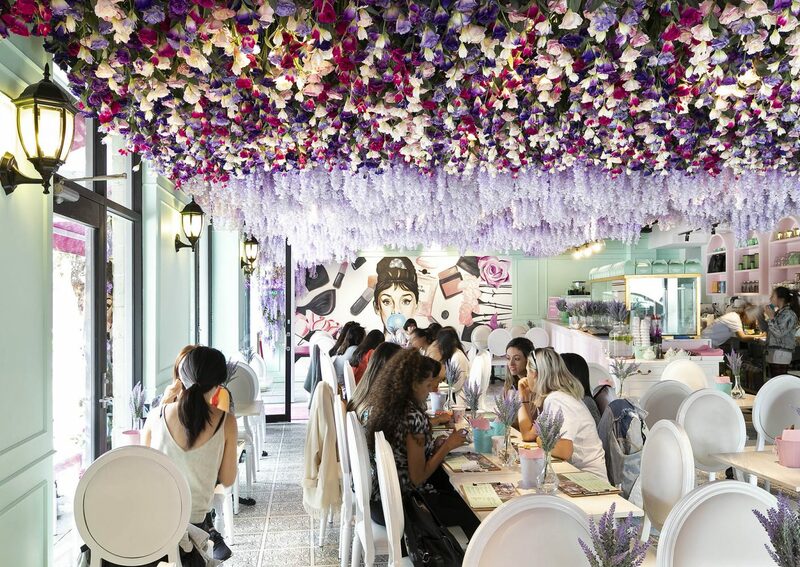 To reflect the streetscape found in France, a lavishing flower wall and ceiling feature has been installed throughout the space so that a point of interest is created in the interior. 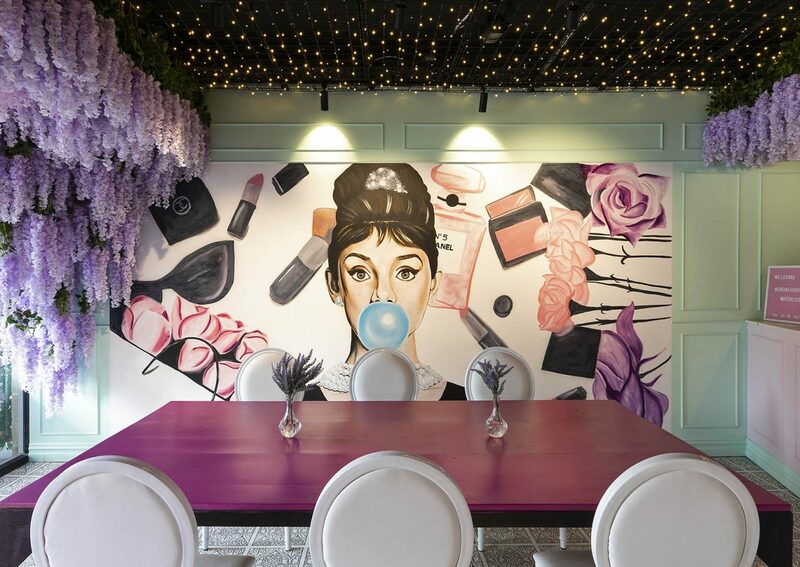 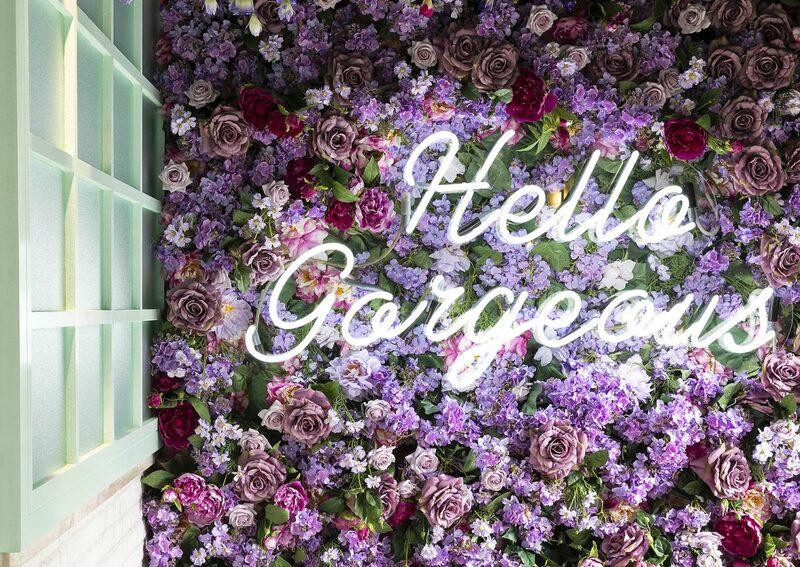 To draw social media attention to the café, an iconic graffiti wall mural of Audrey Hepburn has also been installed to compliment the flowers. 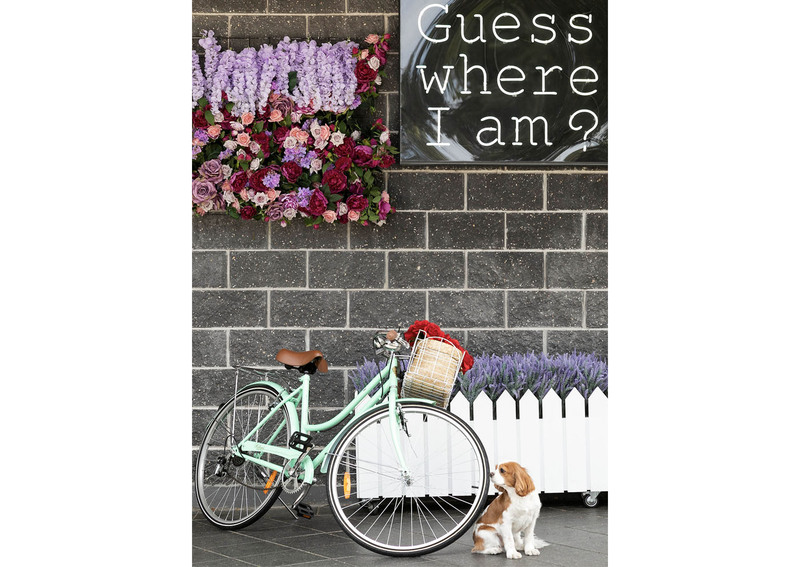 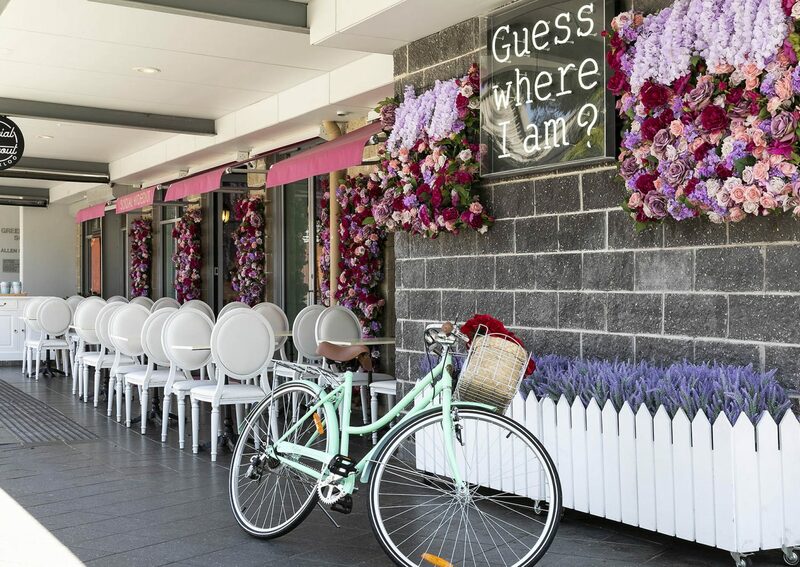 The shopfront design consists of French style canopy awnings, European furniture and props such as a vintage bicycle, picket fence planter boxes and chairs to evoke a sense of a Parisian courtyard. 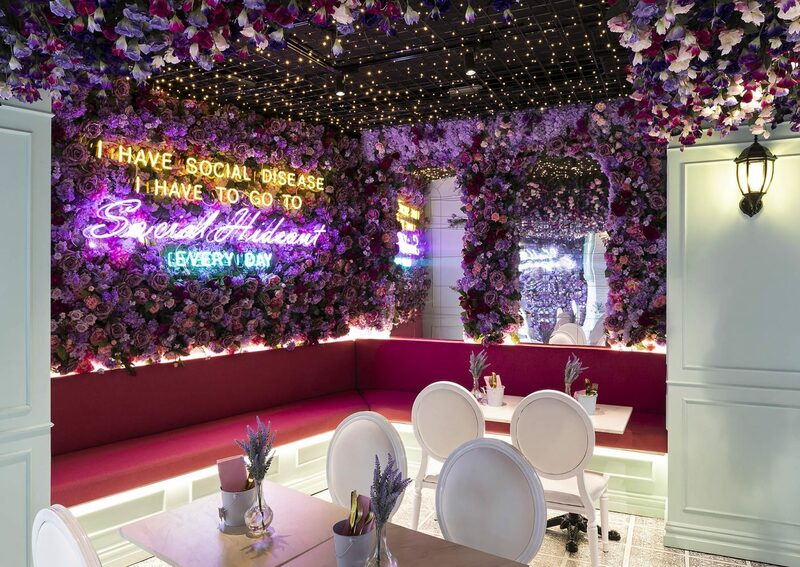 Classic French style moldings and architraves have been used in the design whilst arch mirrored panels and upholstered banquet seating have been installed to accentuate a unique European dining experience.